You may have been wondering for years what has been blocking you from making the quantum leap in your dream business, or realizing the life of freedom and fulfillment you are really after. There is a good chance that you are not lazy or unlucky. The culprit may be your blueprint. If your blueprint is preparing all your decisions, and decisions are at the core of success, then it is logical to assume that your blueprint about money, success, and abundance has been sabotaging the fulfillment of your dream. To achieve a life of joy and fulfillment with the freedom to be and do what you want, when you want, all while having financial security and making a difference, you have to pay more attention to your inner world. The inner game of money, success, and abundance holds the key to your happiness. 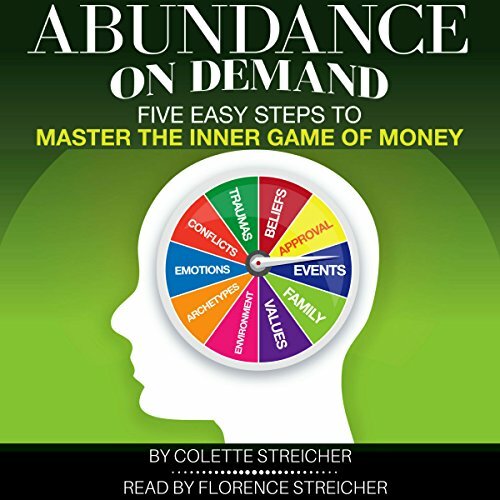 This audiobook will give you the double key to transforming your blueprint in a way that will automatically lead you to success, instead of failure. It will allow you to make every unconscious decision to support your dream, instead of sabotaging it, and will help you feel far more empowered beyond what you have ever felt. If you have any questions about this product by Florence Streicher, contact us by completing and submitting the form below. If you are looking for a specif part number, please include it with your message.